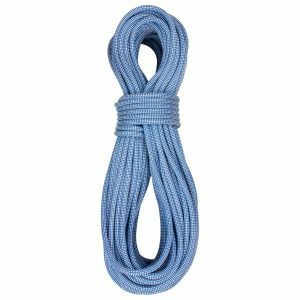 The many types of climbing rope manufactured by this traditional company are famous for their suppleness, hard wearing characteristics, and their excellent handling. They come in a variety of strengths and shapes, including half, twin, and single ropes for all aspects of mountain climbing. These ropes guarantee fun and adventure for a long time to come! Despite the company's formidable age, Edelrid is far from old fashioned. Their products and innovations have been at the forefront of mountain sports equipment every single year. The manufacturer is particularly renowned for excellent personal safety equipment. That includes premium quality and extra comfortable climbing harnesses, helmets and traditional hardware like carabiners and belay devices. Freedom of movement when it comes to your clothes is absolutely essential for climbing and bouldering. Edelrid activity clothes are the perfect choice. Their fitted cuts and inserts will have you slipping through any keyhole opening without a hitch. The climbing pants, T-shirts, and hoodies by Edelrid are of course super trendy and casual to boot, giving them that extra bit of fame in the scene. Ice climbing gear and crampons by Edelrid have a lasting bite. 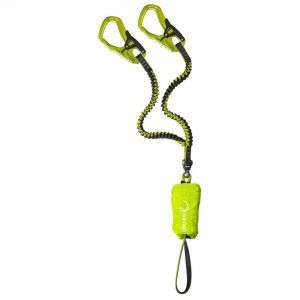 They are the perfect choice for ice climbers and mountain climbers alike, and help them find a safe route to the top. Innovative styles and materials ensure well-balanced handling and less weight to carry. For many, the first taste of Alpine sports is had on the verticals of via ferratas. A good via ferrata set is just as much a must-have as physical fitness. Well-assorted sets with specialist carabiners and other safety features like a crashpad ensure safe and comfortable progress. Edelrid offers a variety of models for any requirement, and even provides a selection of premium quality via ferrata gloves to boot. At the base camp or out camping you'll fit right in with Edelrid. The label offers everything for your outdoor kitchen, from the ultra-light gas stove to robust multifuel stoves, plus matching cutlery and crockery for a culinary feast. Light-weight and efficient gas lamps will add the necessary visibility for your cooking efforts, for reading, or for a round of cards with your mates. The premium quality equipment by Edelrid will leave nothing to be desired - be it on a vertical wall or at your campsite.